Lake Oswego has always had a place in its heart for Goodwill. For more than a decade, the organization's drop-off location on State Street took in more donations than any other standalone donation site in North America, helping Goodwill Industries of the Columbia Willamette collect more — 250 million pounds in 2017 alone — than any other Goodwill affiliate in the world. So when it came time for Goodwill to open a new boutique, featuring what Public Relations Manager Dale Emanuel calls "the cream of the cream," choosing a location was pretty easy. And how has Lake Oswego responded to the new store on Boones Ferry Road? "Our four-day soft opening (in late October) was the best opening of any of our stores," Emanuel says, "since we opened our first boutique in 2005, with 421 individual transactions." 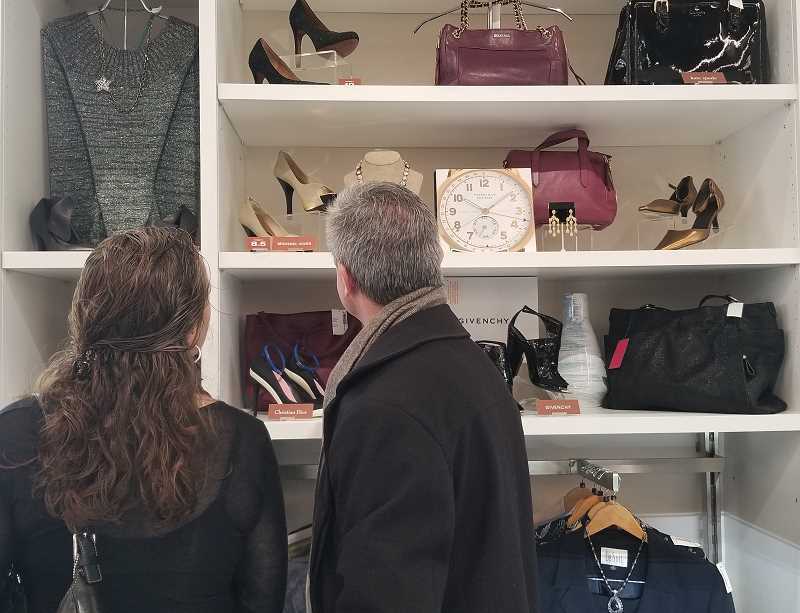 The new, 2,000-square-foot boutique, which is located across a parking lot from Goodwill's collection site at 17150 Lower Boones Ferry Road, is designed for shoppers who want luxury but don't want to pay retail prices. Think designer and edgy apparel, classic jewelry, housewares and art from high-end brands like Burberry, Chanel, Tori Burch, Kate Spade, William Rast, Versace, Armani, St. John, Trina Turk, Lord & Taylor, Christian Dior and Coach — and all at a deep discount. "Goodwill boutiques are typically frequented by discerning shoppers looking for the cream of the cream," Emanuel says. 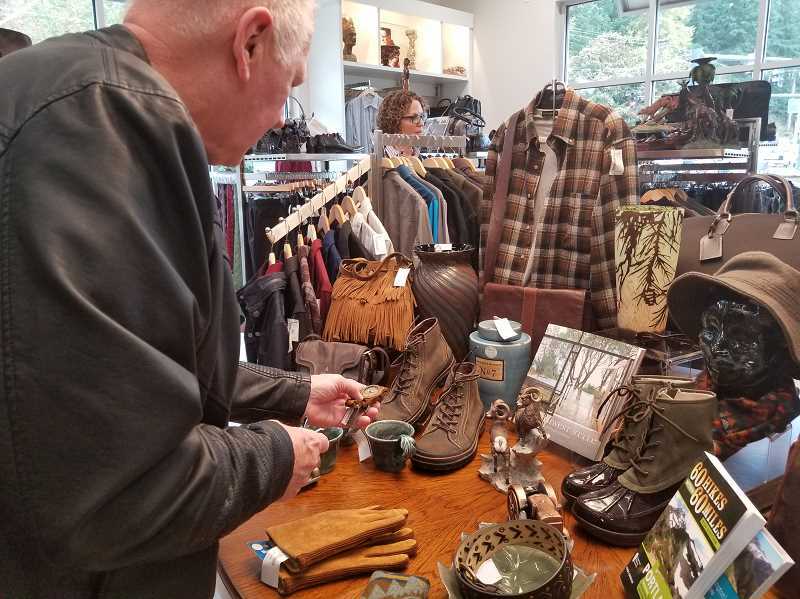 "And while there are still plenty of luxury items at our traditional stores (plus furniture, books, electronics and linen), unlike regular Goodwill locations, boutiques offer limited items that are all hand-selected and some of the very best given by donors." The store's inventory will be in constant rotation, Emanuel says, with most of the items on the floor in Lake Oswego for about two weeks. What doesn't sell on Boones Ferry Road will be shipped to other Goodwill boutiques and then eventually to its regular stores. No matter where the items sell, though, the result will still be the same: All of Goodwill's free job services and other programs designed to "provide vocational opportunities to people with barriers to employment" are funded by revenue from the sale of donations. In 2017, that meant finding jobs for 15,522 people and offering English and citizenship classes to 1,600 more in the Columbia Willamette region, where Goodwill itself employs 2,791 people and operates 51 stores. "We hope customers will shop knowing that they are not only getting items at a substantial discount, but helping to create a more self-sufficient and sustainable community," Emanuel says. "The more value raised from each item, the more we can help people in Northwest Oregon, Central Oregon and Southwest Washington through free job service programs. In one program alone, just last year, we helped more than 10,000 local individuals connect to a paycheck." Goodwill's Lake Oswego boutique is open 10 a.m.-7 p.m. Monday through Saturday and 10 a.m.-6 p.m. Sunday. It's open every day with the exception of Thanksgiving and Christmas. For details, call 971-317-7664. For more about Goodwill's job services, go to goodwilljobconnection.org. And for more about everything Goodwill does, including a complete list of retail locations, visit meetgoodwill.org.